Update: in addition to the new health feature. You upped the cost of a streak freeze from 50 to 200! Wow. Oh well. Lost a supporter and advocate. So here I was. Spending time each day for 175 days straight. I felt good about the slow progress I was making in learning Hawaiian (my grandfathers language). And then came the new health metric. I will likely delete the app (not that the developer will care). Why? Because I will get locked out for making too many mistakes in a lesson. I’m sorry, at 42 years old, I find time when I can and I’m a slow learner. So some days I make more mistakes. I’m sure your “research” has shown that making people take their time will help. But all it did was ruin my want of learning. I used to recommend the app daily. I was proud to use and recommend it. Hawaiian is a dying language and I was elated to have it available. Find another way folks. Great job Duolingo. Way to kill a language by not even giving an option to turn that metric off. 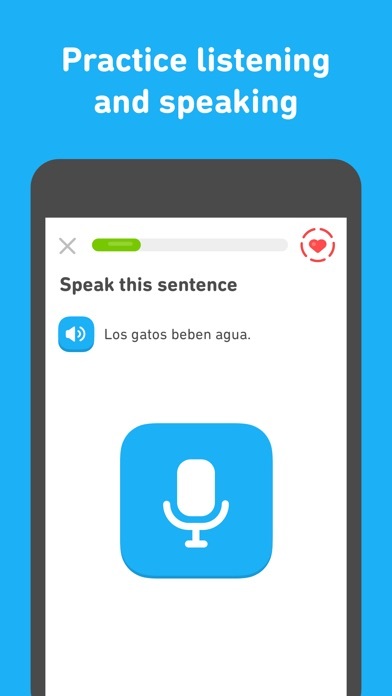 I love Duolingo! I’ve been using it for at four years(maybe I don’t remember lol). The primary language I’ve been learning is French, which I really enjoy. I’ve picked up several languages including: Chinese, Hawaiian, and Russian. I’ve tried( key word TRIED): Irish, Japanese, Portuguese, Spanish, Korean, and Swahili. I quickly realized I would never excel inHebrew,Romanian,and Vietnamese.This app is very well designed and easy to use. Just try to remember your password because multiple times I have forgotten it. The website has some more options available for learning. 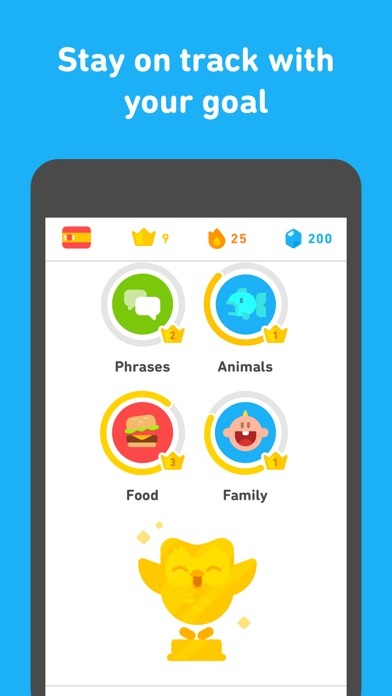 One thing I don’t understand is the new update with different courses for the languages. Do I know have to do them all? I was very far in French so a bunch of the courses were unlocked. I would really appreciate if you could explain! Overall I really love this app and I have told my friends about it. 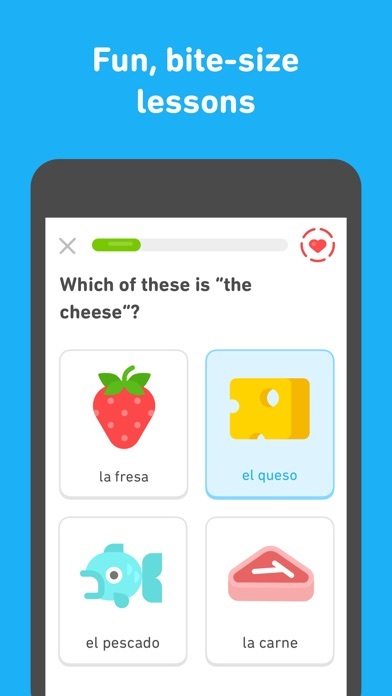 I love this app and it’s been teaching me Spanish very well! It works perfectly and effectively. However this green bird has been threatening me and my family when I fail to practice Spanish. I must do the Spanish or vanish. I do the Spanish every day to contain the bird and make sure I never miss a day or.....well.....you don’t wanna know. I hate her but can I have her back? 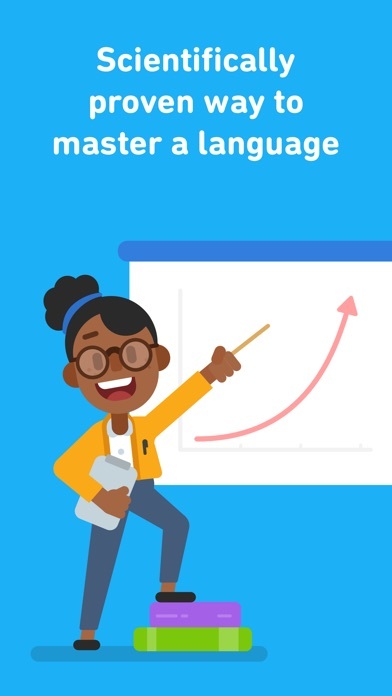 I love learning languages on this, and it makes it super convenient, but i invited a couple of friends, and they started to use it, and never gotten my week of free duo plus. it’s not that big of a deal, but it was a little frustrating since i saved it for the week we left for vacation so i could use it offline, but that never happened.